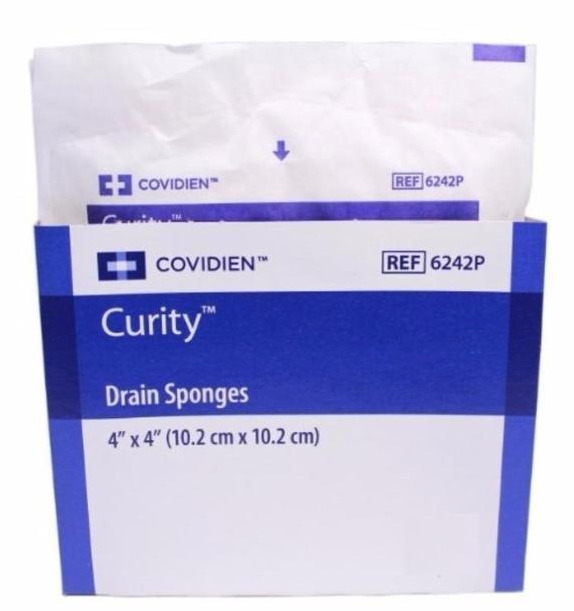 Medtronic/Covidien 6242p, Curity Drain Sponge is a 4 x 4 inch sponge that is virtually lint free, which makes it highly sterile. 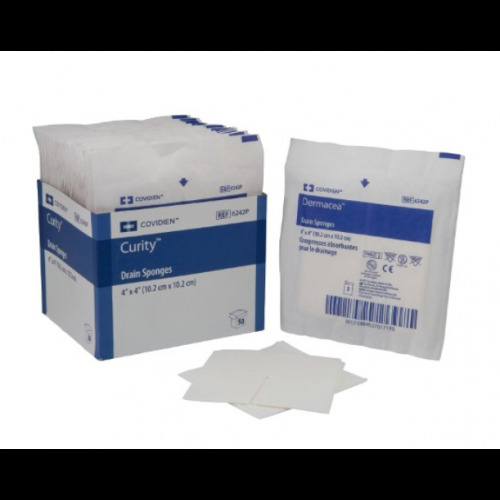 It is made with a pre-cut notch that easily conforms around chest tubes, IVs, drains, catheters and tracheotomies. 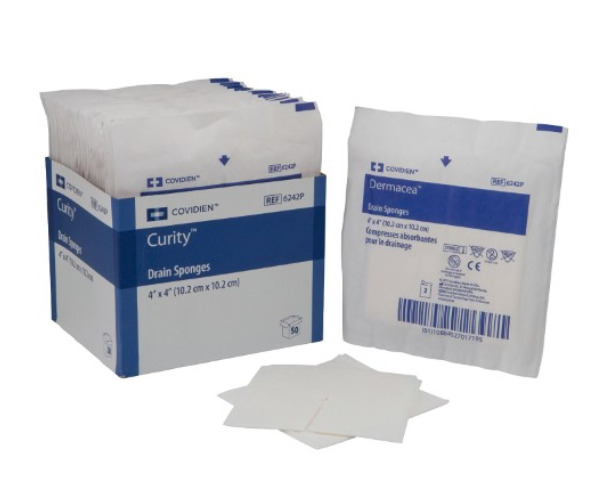 The design and sterility of this sponge eliminates the need for sterile scissors, which helps medical professionals use their time more efficiently. They are 4 x 4 inch in dimension and 6-ply. I purchased these on four separate occasions and I've never been disappointed. We use them for my son's trach, and they are awesome. Great quality, can't beat the price, and they ship quickly. Highly recommend!